Ready to go beyond Point of Sale? 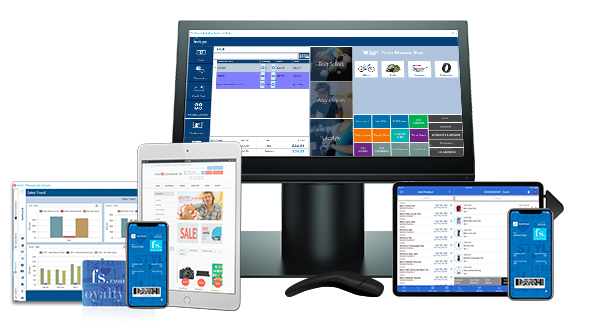 Introducing the most complete out of the box omnichannel solution on the market today, covering everything from Point of Sale to back office to head office operations with integrated mobile POS, eCommerce, digital passes, reporting and analytics and a customer loyalty program. This demo is customised around you. Get answers to your unique questions, and find out why iVend Retail is the right choice for your business. Effectively manage inventory with user configurable replenishment policies and levels for items in any store. Gain business intelligence through a comprehensive library of standard dashboards and customisable drill-down reports. Improve fulfillment and lower inventory carrying costs via a single stock pool for one view of product availability. Totally integrate all retail IT systems from head office ERP to stores and online/mobile channels for an immediate up to date view across the enterprise. Offer customer loyalty programming with a comprehensive approach to personalised, mobile-friendly loyalty management with multiple schemes and custom designs. Deliver exceptional shopping experiences across all sales channels, with real-time inventory view for service on the sales floor, enabling Cross-Sell, Up-sell, Click & Collect and shopper personalisation.